Tazewell County Consolidated Communications (TC3) was formed December under the Intergovernmental Cooperation Act (5 ILCS 220) by its member municipalities for the purpose of providing radio communications and dispatch of police, fire, and EMS for its participating agencies throughout Tazewell County. TC3’s budget is approximately $3.3 million dollars. TC3 employs approximately 30 full-time employees and 6 part-time employees. 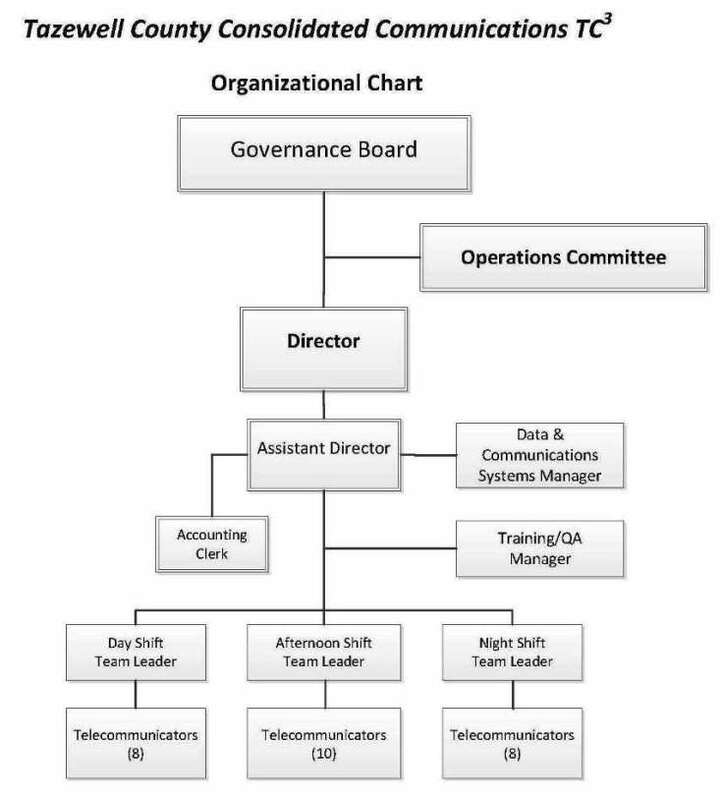 TC3 has a Governance Board comprised of officials from the member municipalities and participating agencies and an Operations Committee consisting of public safety personnel from TC3’s member municipalities and participating agencies. TC3 works in coordination with the Tazewell County ETSB for the provision of 911 dispatch services.